Put another way, franchisees of those 10 brands have left taxpayers on the hook for 21% of all franchise-loan charge-offs in the past decade, collectively failing to pay back $121 million in SBA-guaranteed loans from 2004 through 2013… 16. JAMES MARION: Whenever I see a ubiquitous franchise business or other silly startup at a ridiculous location I always think a fool and his money. Now I'm thinking a fool and my money! For prospective buyers faced with a growing number of options, it has become more difficult to size up a franchise chain because of the limited information available. The chains aren't required by law to disclose their franchisees' first-year average sales and failure rates, for example, although the Federal Trade Commission does require them to share recent bankruptcy filings and prior litigation, among other basic information. An SBA spokesman declined to comment on the Journal's analysis of the agency's franchise loan data, which the Journal gained access to via the Freedom of Information Act. He said the agency's loan data is incomplete because some lenders don't indicate if a loan is for a franchise or for which chain when seeking the agency's backing. The 7(a) loan-guarantee program is the SBA's most popular loan program by far. It was set up six decades ago to help borrowers who can't qualify for traditional loans obtain funding to start or expand franchises and other small businesses. The SBA guaranteed nearly $18 billion in 7(a) loans, including $2 billion for franchisees, in the fiscal year ended Sept. 30, 2013. Overall, 18% of all SBA 7(a) loans—and 13% of all such loans to franchisees—were charged off, based on The Journal's analysis of the data from 2004 through 2013. Most recently, charge-offs on SBA 7(a) loans have been declining. Last fiscal year, 8,100 such loans were charged off for a total of $705 million, down from nearly $2 billion charged off in 2010, the Journal's analysis shows. Simultaneously, the $18 billion loaned in fiscal 2013 was the second highest year in total amount approved in the past decade, according to the SBA. The sandwich chain, which filed for bankruptcy protection in March, said some of its stores failed due to "slower sales, high rent, increased competition and economic pressures." It added that it is in the process of "making long-term changes to our business model to help improve restaurant profits." Stephen Smith, the founder and CEO of tanning-salon chain Planet Beach Franchising Corp., said his company's franchisees have been burdened in part by a 10% tax the federal government levied on tanning services in 2010 to help pay for the health-care law. The Journal's 2004-to-2013 analysis of SBA-guaranteed franchise loans found Planet Beach to be the system with the third highest amount of franchisee charge-offs—$10.8 million—and a 41% default rate. Mr. Smith said an independent research firm he hired calculated a default rate that is 10 percentage points lower, but that "is not acceptable either." He said he has spent the past three years expanding his brand's business model to include new services like massage therapy and teeth whitening, and he has invested hundreds of thousands of dollars in new technology. The company currently has about 200 U.S. franchisees, and it projects $50 million in systemwide sales for 2014, about the same amount it has had for each of the past three years, said Mr. Smith. Jim Emmerson, chief financial officer of Huntington Learning Centers Inc., a tutoring chain, says most of the franchisees that ran into trouble had problems caused by the recession. Its franchisees racked up $7.8 million in charge-offs and had a default rate of 31%, landing the system at No. 2 in the Journal's ranking. "The crisis impacted our system tremendously," he said, adding that the company in 2012 lowered its initial fee and size requirements for new buyers and has since made other changes aimed at better helping its franchisees succeed. 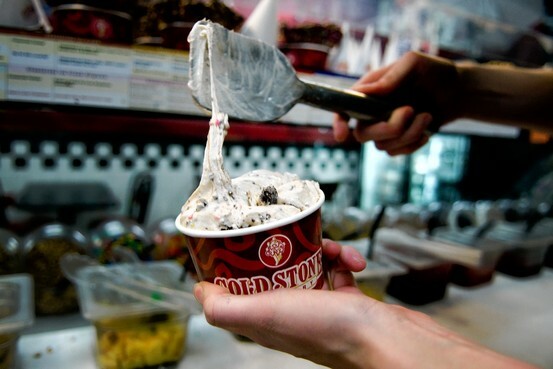 Cold Stone owner Kahala Franchising LLC said the problems caused by the recession were compounded by the "extreme growth" that occurred in the years immediately preceding the downturn. High failure rates aren't necessarily a problem for franchisers as they can still consistently generate millions of dollars in revenue every year from sales of new units. Some franchisers also offer discounts to entice buyers to purchase multiple units at once. Among the best performers in the ranking were Jimmy John's, Little Caesar's Pizza and Days Inn, which all had default rates of 2% or less. Also note: the default rate for the 10th worst franchise listed above is lower than the average default rate for all SBA 7(a) loans. Healthcare franchising is growing, particularly in medspas, senior care and urgent care. Some franchisees are not physicians. Will a higher failure rate for healthcare franchises be the result? I fear that your article may be interpreted in a way which is misleading. Of course there must be a bottom 10 on any list of 10 or more, but the implication of your article seems to be that SBA franchise default rates are unusually high. Yet, you state that franchise default rates are 13% for franchise SBA 7(a) loans versus 18% for SBA 7(a) loans generally. 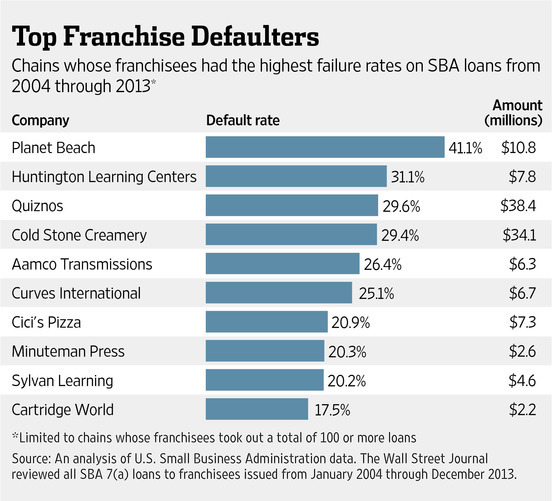 That seems to suggest that franchisees default at a rate which is about 28% lower than other small businesses. @Scott Raver I understand your logic, but I think your argument begs the question: How much are taxpayers paying to support the failing businesses? And second, should taxpayers be paying anything to support a new business? Interpreting government-speak, how much is "a substantial portion of the cost of loans that go bad"? Do taxpayers ever come out ahead when they guarantee loans to new businesses through the taxpayers' agent, the SBA? I think we need to answer the public policy question, first. kudos to the Journal for doing something the SBA should have! I feel bad. I think people are duped into these lousy businesses. While many franchises are solvent, a large subset of them are not lucrative by any means. I think the franchise model, in a word, blows. 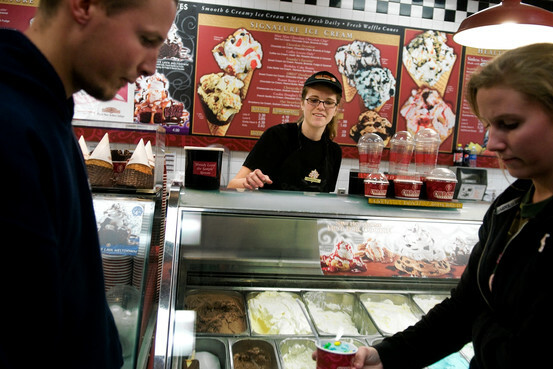 A former Cold Stone president and CEO is running for governor in AZ. Now I'm craving some ice cream. On one hand you see a lot of people crying for a smaller government but there still seems to be plenty of business people, big and small, perfectly willing to accept the help. Why is the government playing bank with the taxpayers' money again? Pretty easy to swallow default rates of 18% annual when playing with other people's money. The reason that these loan have an SBA guarantee is that they have to. Due to Federal bank regulations, it is the only way banks can make loans to small businesses. The SBA also charges origination points of 2.75%, and gets as much collateral in personal assets as the borrower has. Don't cry for the taxpayers on this one. @Joe Rizzo Ummm, if the taxpayers wanted to get into the small loan business, the taxpayers ought to set up their own small-business lending institution. @Joe Rizzo Not so. Banks can and do make loans to small businesses. All the overhead involved with a fixed location…aaannnd a "franchise fee"?! Ouch. Plenty of places to tan for less…get ice cream for less…get a hot sandwich for less…get your transmission fixed for less.You may have been "guaranteed" a "territory"…but that says nothing about how loud the cash register will ring. Only Congress and a federal bureaucracy could imagine that a franchise is the same as a small business. Whenever I see a ubiquitous franchise business or other silly startup at a ridiculous location I always think a fool and his money. Now I'm thinking a fool and my money! Who needs Cold Stone Creamery. Make your own ice cream. With today's ice cream machines, it's so easy to make fresh ice cream at home. I do.